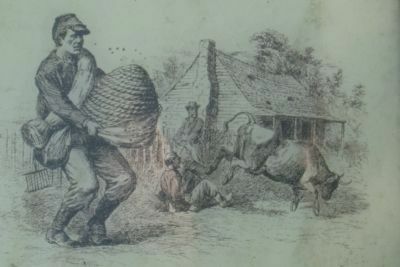 to Carolina, an account of his 1700–01 expedition through the Carolinas. Location. 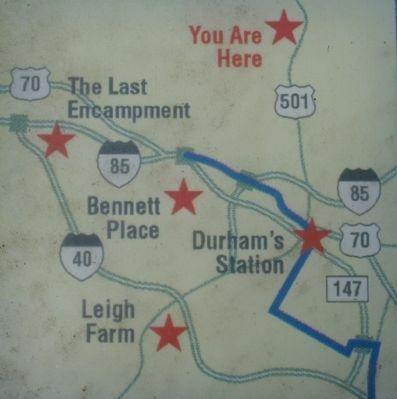 36° 4.108′ N, 78° 54.513′ W. Marker is in Durham, North Carolina, in Durham County. 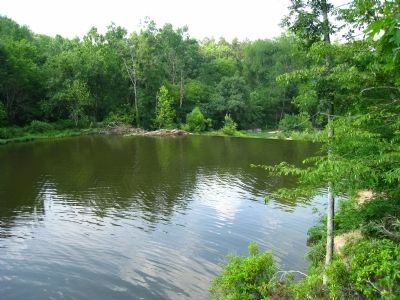 Marker can be reached from North Roxboro Road (U.S. 501). Touch for map. 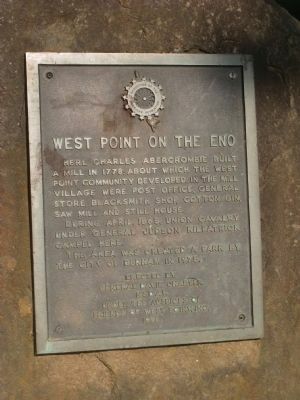 Marker is located in the parking lot at West Point on the Eno park. 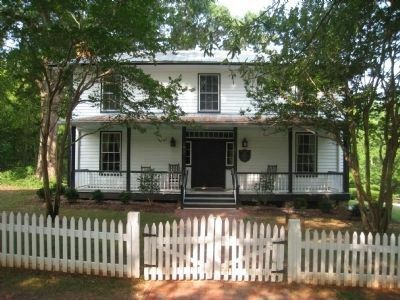 Marker is at or near this postal address: 5101 North Roxboro Road, Durham NC 27704, United States of America. Touch for directions. Other nearby markers. At least 8 other markers are within 5 miles of this marker, measured as the crow flies. 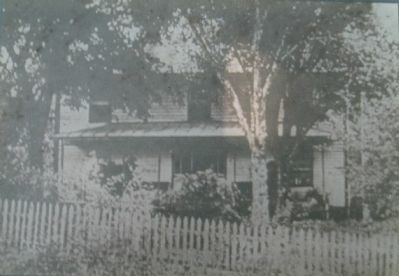 Duke Homestead (approx. 2 miles away); North Carolina (approx. 2.4 miles away); a different marker also named Duke Homestead (approx. 2.4 miles away); Duke University (approx. 4½ miles away); a different marker also named North Carolina (approx. 4½ miles away); Bennett Place (approx. 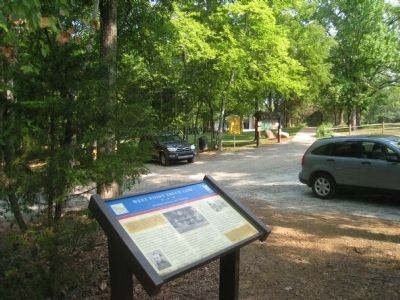 4½ miles away); a different marker also named Bennett Place (approx. 4.6 miles away); The Original Chimney of the Bennett House (approx. 4.6 miles away). Touch for a list and map of all markers in Durham. More. 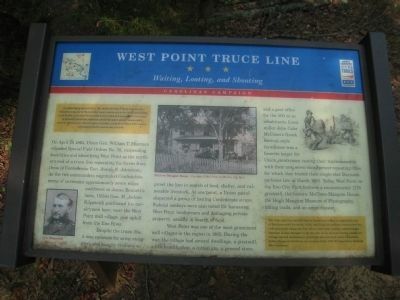 Search the internet for West Point Truce Line. Credits. This page was last revised on June 16, 2016. This page originally submitted on August 1, 2011, by Dave Simpson of Durham, North Carolina. This page has been viewed 744 times since then and 8 times this year. 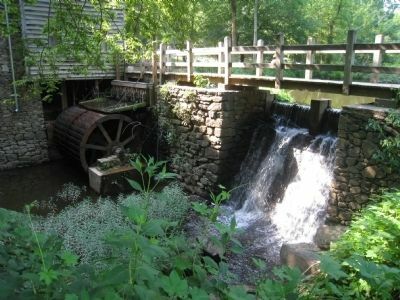 Photos: 1, 2, 3, 4, 5, 6, 7, 8, 9. submitted on August 1, 2011, by Dave Simpson of Durham, North Carolina. • Craig Swain was the editor who published this page.